I didn’t really accomplish a “d–n” thing today! And then check those items off your list so you felt like you actually accomplished something. Stared at the wall for 45 minutes … check! Played Words with Friends ® for 1 hour in the morning … check! Stared at the Wall and Played Words with Friends ® for 1 more hour in the afternoon … check! Yes, we’ve all been there, spent our precious time on tasks that don’t contribute to the results we really want. They simply keep us busy and give us a false sense of accomplishment. 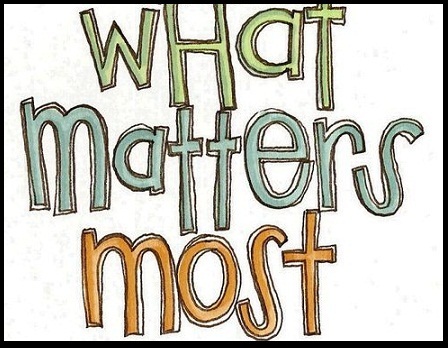 So how do you stay focused on getting done what matters most? Talk to people who need a Speaker, Coach or Consultant. Talk with people who know someone who needs a Speaker, Coach, or Consultant. Speak, Coach, or Consult, and be so “d–n” good that they want more or want to tell someone else about me. Apply The 3-4-5 System ™ – Commit to doing those 3 things for 4 hours a day 5 days per week. That’s it! You will feel so much better about yourself and your results. Oh … by the way … It’s Your Move! PreviousPrevious post:Goals: Know When to Hold ’em and …NextNext post:Smart Money Offer … an Oxymoron?